MYBOYCHARLIE (IRE) (Bay 2005-Stud 2009). 4 wins-3 at 2, Deauville Prix Morny, Gr.1. Leading Sire of 2YOs in France in 2016. Sire of 579 rnrs, 340 wnrs, 16 SW, inc. Jameka (MRC Caulfield Cup, Gr.1), Sistercharlie, Euro Charline, Peggy Jean, (Sir) Charles Road, Charlie Boy, Blueberry Hill, Camprock, Cheikeljack, Zelady's Night Out, Landfall - Rise High (H.K. ), Siren's Fury, Salai - Skyrockets (H.K. ), Art of Raw, Sweet Charity, Royal by Nature, etc. Red Charlize (f. by Myboycharlie). See below. All About Doom (g. by Domesday). Placed in 2016-17 in NZ. Alltalknoaction. 3 wins. See above. Herencia. Winner at 1800m, WATC Ascot Corporate Villas H., 3d WATC Racingjobs.com.au H.
YOUHADYOURWARNING (Warning). 7 wins. See above. TORAH (Spinning World). Winner at 1600m, A$114,400, MVRC Alexandra S., L, 2d VRC Gibson Carmichael S., L. Producer. Guilty Secret (Kris). Winner at 1½m, 2d Doncaster Park Hill S., Gr.3, 3d Yorkshire Oaks, Gr.1, Ayr Doonside Cup, L. Producer. Youm Jadeed (Sadler's Wells). 2 wins. See above. Tobolsk (Storm Bird). Winner at 9f, 2d Phoenix Park Hermitage Farm S., L.
LIM'S RACER (Red Giant). Champion 2YO in Singapore in 2016. 4 wins to 1200m, S$322,852, to 2018, Singapore TC Aushorse Golden Horseshoe, L, Air Canada Cup. UPSTAGED (In the Wings). 3 wins at 1200m, 1600m, NZ$24,500, A$149,400, SAJC Thomas Elder S., L, 2d Avondale Gold Cup, Gr.1. Producer. STRIKE HARD (Green Desert). 3 wins-1 at 2-at 6f, Curragh Greenlands S., Gr.3, PG Duffy & Sons 2YO S., Leopardstown Doyle Westbury H., 2d Leopardstown Ballyogan S., Gr.3. Producer. DR MORE (Danehill). 7 wins-1 at 2-from 1200m to 2000m, HK$13,545,415, HKJC Centenary Vase, L, 2d Hong Kong Gold Cup, L.
PRESUMED INNOCENT (Danehill). Winner at 2, SAJC Dequetteville S., L, 3d SAJC Breeders' S., Gr.2. Producer. BID SPOTTER (Redoute's Choice). 9 wins from 1500m to 2400m, A$599,345, TRC Hobart Cup, Gr.3, City Tattersalls Club Cup, L, ATC Manion Cup, L, 2d STC Frank Underwood Cup, L.
JOLIE BLONDE (Testa Rossa). 4 wins at 1200m, 1250m, A$154,238, MRC (Mornington) Hareeba S., L, Counting House Restaurant H.
MAHUTA (Flying Spur). 6 wins from 1400m to 1600m, A$1,752,960, MRC Sandown Guineas, Gr.2, Autumn S., Gr.2, VRC Carbine Club S., Gr.3, GCTC Magic Millions Guineas, RL, MRC Gothic S., L, 3d MRC Memsie S., Gr.1, Bletchingly S., Gr.3. ANLON (Stratum). 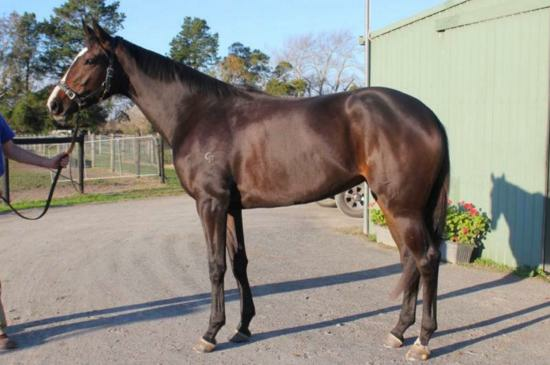 7 wins to 1500m, A$285,280, VRC Chester Manifold S., L, George Watson H.
LISTEN SON (Big Jesse). 10 wins from 1200m to 1600m, A$607,900, BRC Keith Noud H., L, 2d BRC Sprint H., Gr.3. XTRA (Sadler's Wells). 2 wins at 1½m, Haydock July Trophy, L, Newmarket Fred Archer S., L.
GRAND ARCH (Arch). 7 wins from 1m to 9f, US$1,894,563, Keeneland Turf Mile S., Gr.1, Saratoga Fourstardave H., Gr.2, Woodbine King Edward S., Gr.2, 2d Keeneland Turf Mile S., Gr.1, Saratoga Fourstardave H., Gr.2, Woodbine Labeeb S., L, 3d Breeders' Cup Mile, Gr.1, Saratoga Fourstardave H., Gr.1, Pimlico Dixie S., Gr.2, Woodbine Nijinsky S., Gr.2, Sky Classic S., Gr.2, Churchill Downs River City H., Gr.3. FONG'S THONG - ADAAM (Sau.) (Dr Fong). 6 wins-1 at 2-from 1400m to 1600m in GB, U.S.A. and Saudi Arabia, Goodwood Thoroughbred S., L, Newbury Tattersalls S. Sire. CARTIER OPERA (Zilzal). 5 wins-3 at 2-from 1450m to 3900m in GB and France, Saint-Cloud Prix Maurice Caillault, L, Longchamp Prix du Liban Francophone.